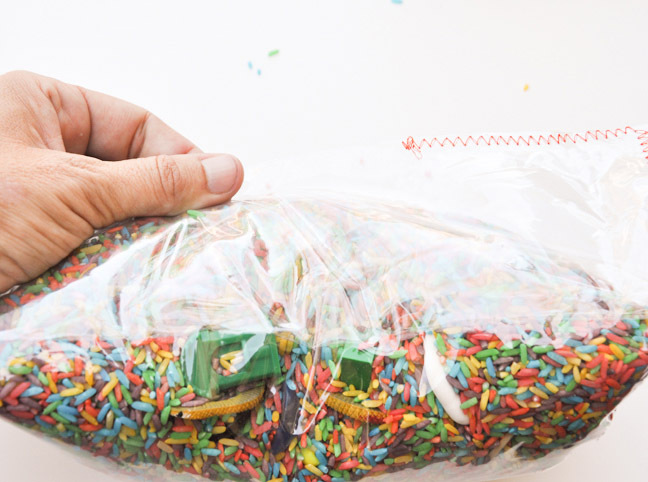 I’m constantly trying to find ways to keep my kids excited about discovering new things. 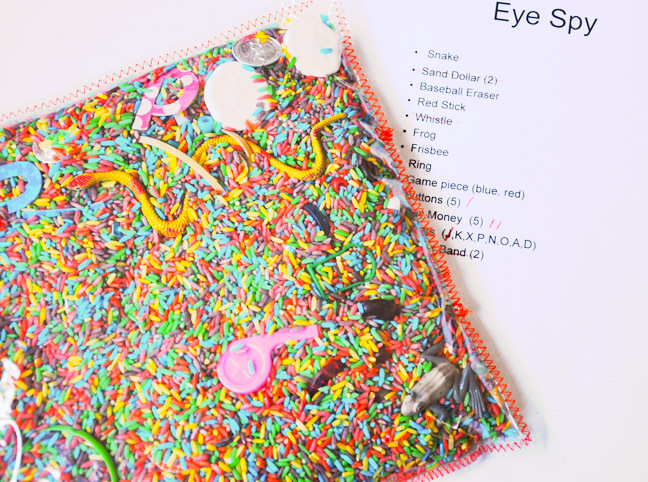 I came up with this this “eye spy” pack that I love to take on trips to keep my younger kids exploring in the car. 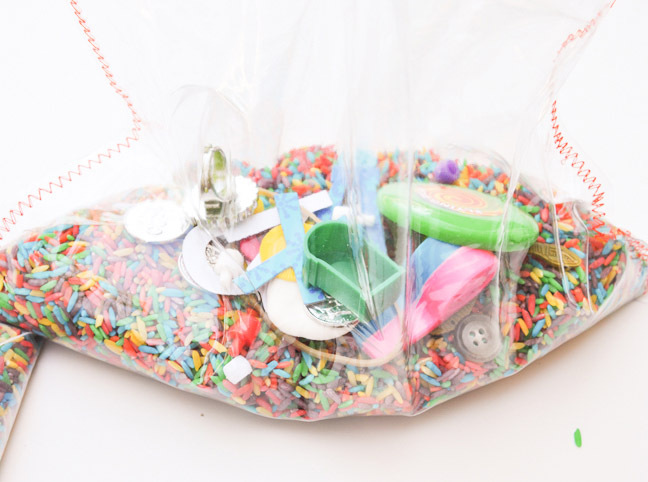 The I spy activity bag also makes a great birthday party activity; just print out an inventory of treasures and have older children locate as much as they can. 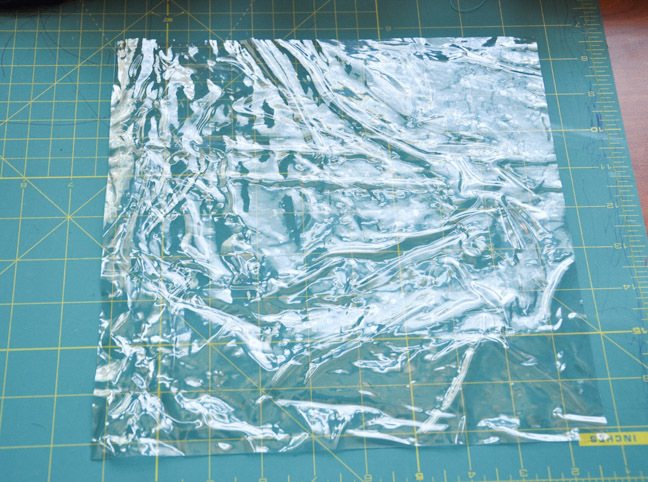 Step 1: Fold vinyl over so it is double in thickness and cut the two pieces into a 10″x10″ square. 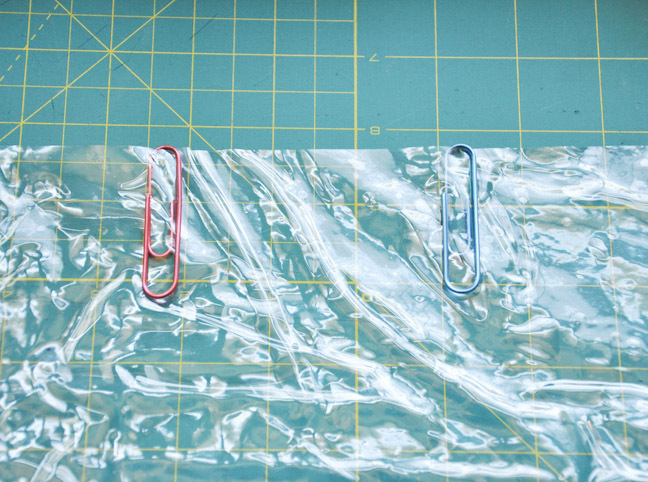 Step 2: Use two paper clips to mark your start/stop position for stitching, approximately six inches apart. 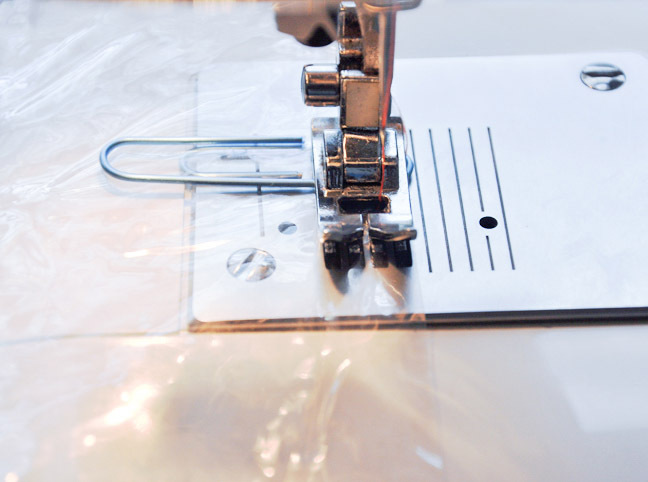 Do not stitch in between the two paper clips to leave an opening for filling. 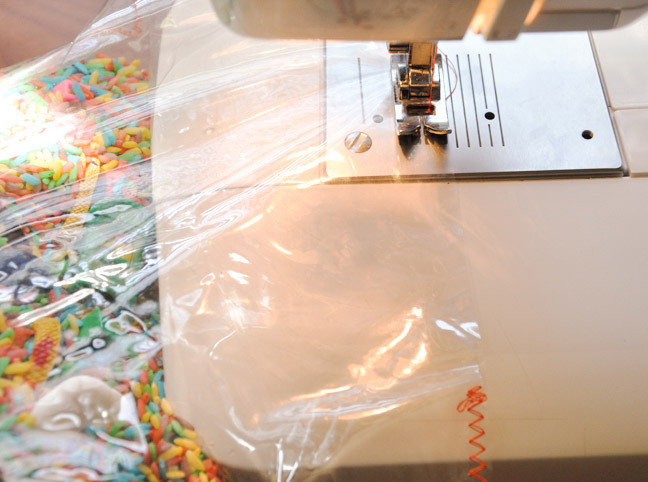 Step 3: Using a zig-zag stitch at a ¼” seam, stitch around the entire pouch. Step 4: Make sure to backstitch at each start/stop position. 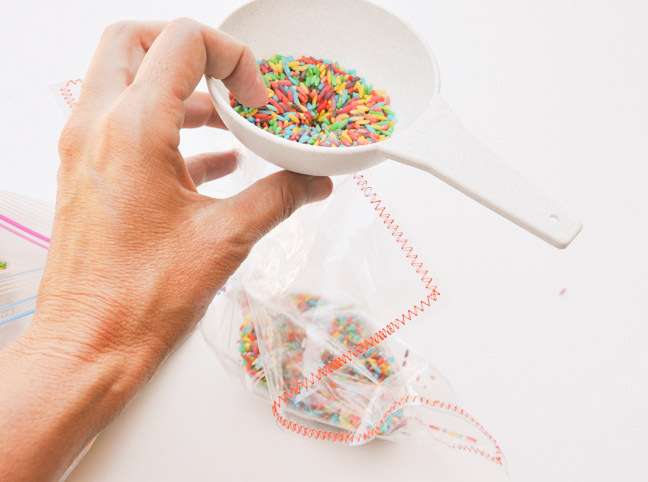 Step 5: Begin filling the pouch with the colored rice. I found it easier to use a funnel. 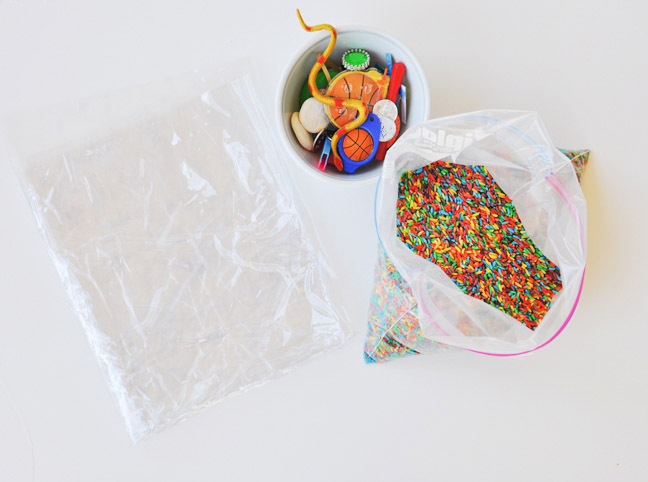 Step 6: Once it is about halfway filled, place your discovery pieces in. Step 7: Fill in the rest with rice. 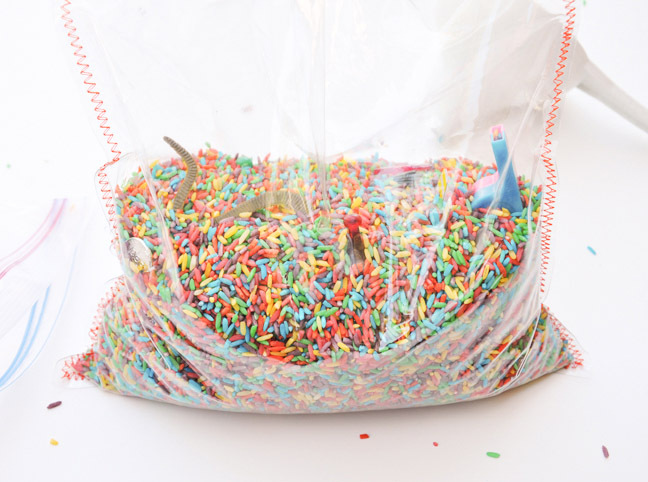 Your bag will look half empty, but once it is flat, the gaps will fill in. 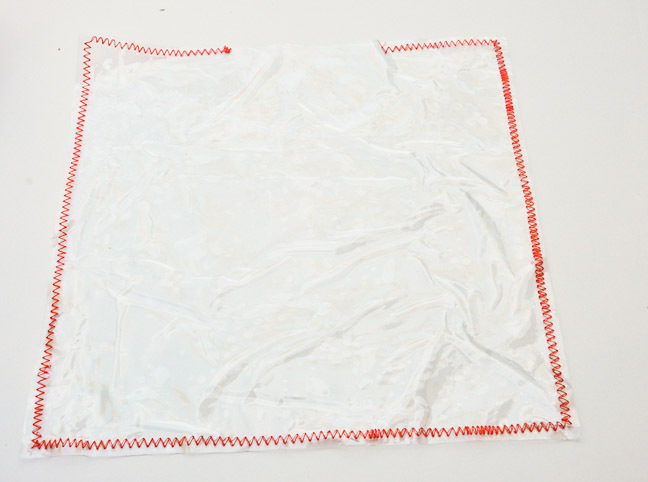 Step 8: Fold the top of the pouch over and try to get out as much air as possible. Step 9: Sew the opening closed with a zig-zag stitch. 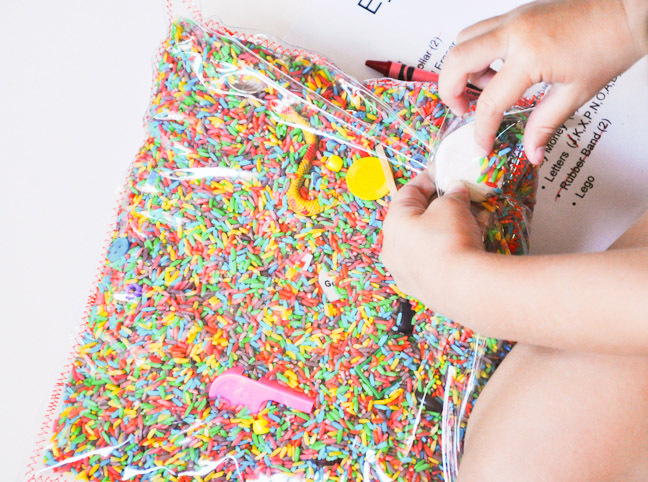 Step 10: Let the little hands explore!